Founded by Jacques Henry in 1992 under the name La Bourguignonne Distribution, Emile&Co is now managed by Jean-Baptiste Henry, CEO, and Laurent Berp, Managing Director. Since its inception, the company has been based in Marcigny in Burgundy, as well as having offices in Paris. With an active portfolio of several brands and over 1,000 reseller partners in France, Emile&Co’s solid experience in the French retail market and cutting-edge expertise have made it an essential, dynamic distributor within its business sector. We distribute our selected brands via a distribution network appropriate to each brand, helping them to become established and develop their reputation in the long-term. Over time, our reputation has grown and we are now recognised as a reliable, committed, meticulously organised distributor. We have formed long-lasting partnerships with our resellers and suppliers, establishing relationships of trust and offering a quality service matching the quality of the products we distribute. The brands we work with have been rigorously selected: we are uncompromising about product quality, business ethics and manufacturing conditions. Our team of recognised sales professionals is solely dedicated to promoting our brands, but their role is not just to sell. We ensure that the selection criteria defined for each brand are adhered to, we support our customers in their product listings, we train their in-store teams and provide solutions to help with sales (promotions, merchandising, etc.). 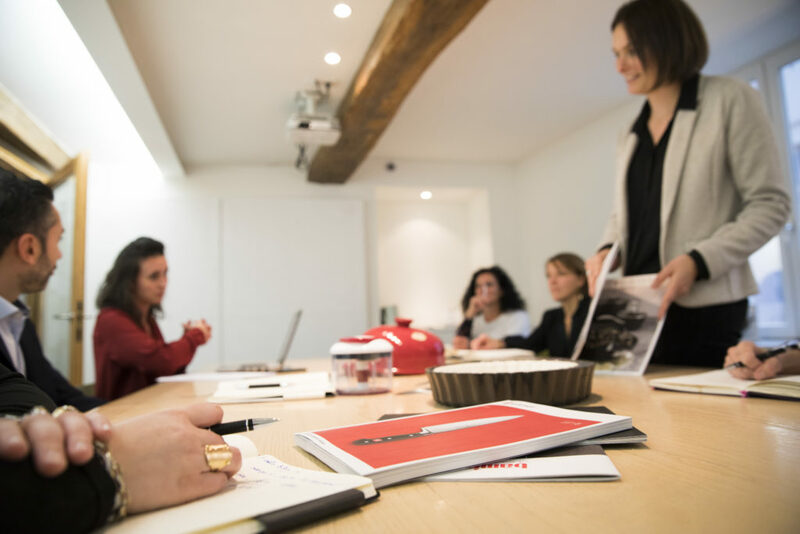 Our up-to-date knowledge of our product catalogue and the features of our brands, gathered from factory visits, trade fairs and cooking workshops, allow us to adapt to each situation and provide the right solution. Our business is centred on our marketing department, whose main objective is to increase awareness of the brands we distribute. It plans marketing and PR campaigns, creates sales and promotional tools, organises our attendance at various trade fairs, runs our websites and social media, and much more. We decided to keep our logistics department in-house to manage it better, in a world where responsiveness and reliability are the watchwords for quality service. 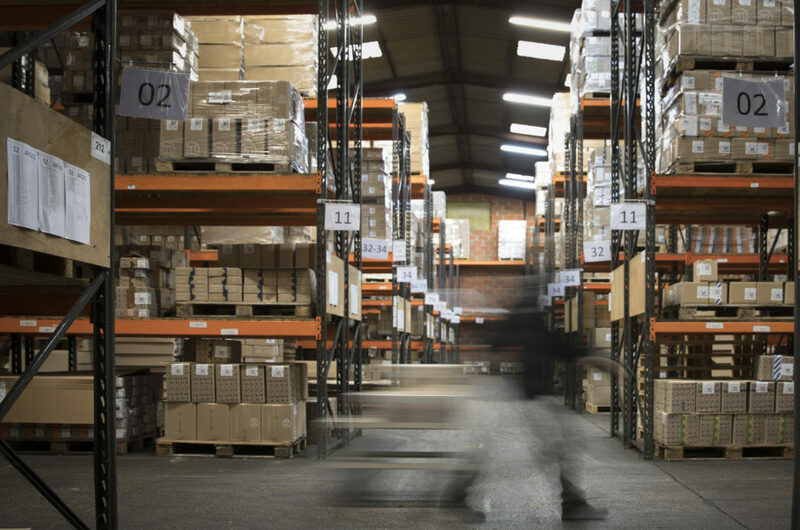 We have a warehouse covering around 10,000 square metres, storing nearly all our suppliers’ catalogues, and we aim to deliver to customers within a maximum of five working days. Lastly, we manage the after-sales service for all our products. This is key to customer satisfaction and loyalty, so it is essential to provide a high-quality, efficient service. 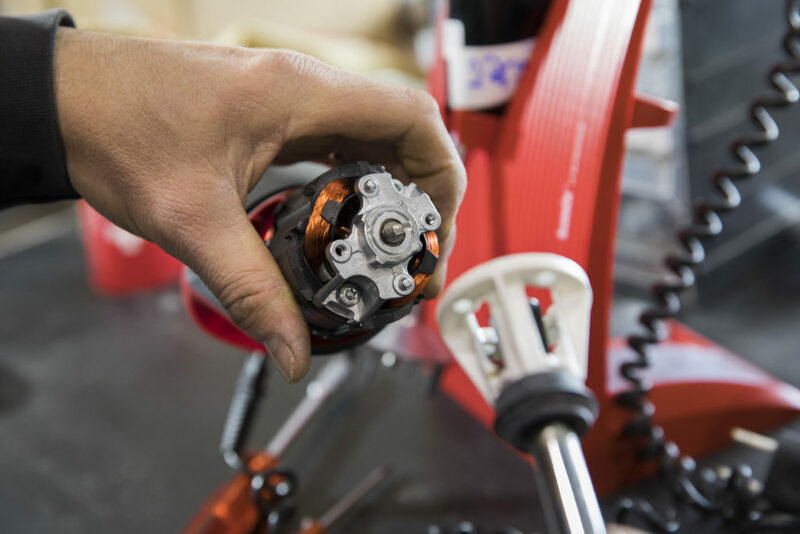 Whenever possible, we repair parts ourselves, and work with our suppliers to keep our customers happy. This is the baseline that embodies our guiding principle, the reason we run our business every day, constantly looking out for the best cooking utensils in every category. Our portfolio features prestigious brands with established reputations, which all complement each other. Irreproachable quality, a strong capacity for innovation and advanced design are criteria we will not compromise on, motivating us to be increasingly professional and passionate about our business, day by day. A quality product that you can really put to the test or pass on to your children is a durable product that will bring satisfaction. It’s also our way of reducing environmental impact, by selecting only high quality products. “Form follows function” is a saying that definitely applies to kitchen utensils! An ergonomic knife handle, an oven dish with generous, elegant curves – intuitive products that forge an emotional link with the user.